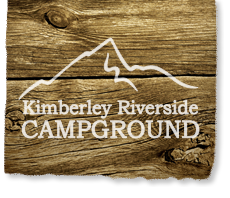 First Saturdays Celebration of Kimberley arts & culture. On the first Saturday of each month these day long celebrations of art and culture will showcase live music, high tea, art demonstrations, childrens' activities, nature walks, live theatre performances and restaurant specials. Kimberley's 'Rails to Trails'! What was once an abandoned CP Railway between Kimberley and Cranbrook has been converted into 30 kilometres of paved trails, great for biking, walking, running, and roller-blading. With no steep hills, this trail isn't too challenging. It offers spectacular scenic views of the Rocky Mountains and surrounding area, and is definitely a great activity for a sunny day! The Kimberley Underground Mining Railway & Interpretive Tour (opened spring 2007). Travel by train from downtown Kimberley up the beautiful Mark Creek Valley, take a detour through a 750' underground tunnel, which includes a guided tour in the Underground Interpretive Centre and a short walk to the historic Sullivan Mine Powerhouse, and then pop out the other end on route to the base of the Kimberley Alpine Ski Resort. This is a must see (see link to website below). The City of Kimberley Aquatic Center; another must see amenity for the whole family to enjoy. Includes; 5 lane lap pool, hot tub, sauna and children's water feature area with a lazy river - guaranteed blast! (see link to website below). Kimberley's Skate Park opened in fall 2007! Its a great recreational facility to bring the kids for skateboarding, biking, and rollerblading! The outdoor park showcases a wide variety of ramps and rails for use, whether your a pro showing off your skills, or just a beginner! The Kimberley Skate Park is located on Rotary Drive. Kimberley's Farmers Market located on Howard st. (above the platzl) takes place every Thursday evening from 5 - 7:30pm during the summer. Come get your fresh food from local farmers and local food producers, as well as crafts from local artisans and all kinds of homemade goodies. Tons of fun and a great way to experience our small town community.